Comments: Ex-library book with usual markings. Meets or exceeds the good condition guidelines. Nice copy. Includes CD/DVD(s). Has writing/highlighting. Five star seller - Ships Quickly - Buy with confidence! 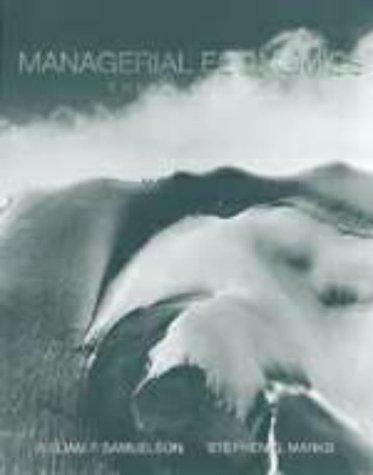 William F. Samuelson is the author of 'Managerial Economics (The Dryden Press series in economics)', published 1998 under ISBN 9780030226120 and ISBN 0030226120. Loading marketplace prices 4 copies from $2.29 How does the rental process work?